Bite-size news service Circa, which shut down in June, is set to make a comeback as part of the Sinclair Broadcast Group (SBG), the largest TV station operator in the US. SBG purchased Circa’s technology and intellectual property for $800,000 in March. It has now brought on board John Solomon, former vice president for content and business development for the Washington Times, as chief creative officer. 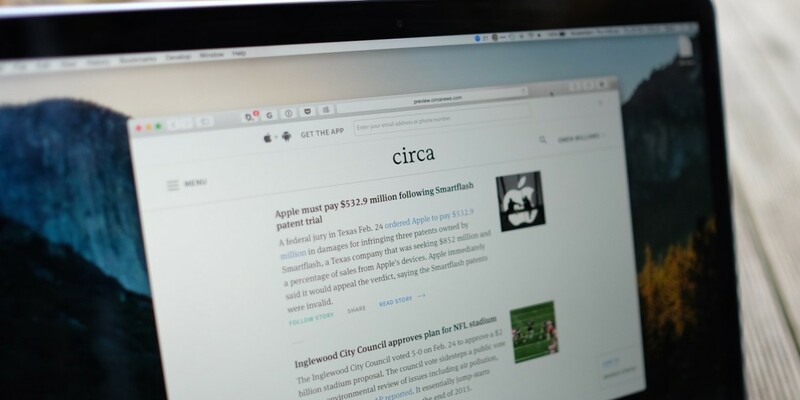 Circa will operate as an independent company targeting young audiences. There are plans to hire 70 journalists for original reporting and the service will also benefit from gaining access to video content from the 164 TV stations owned by SBG, many of which are affiliates of ABC, NBC and FOX. SBG says that it wants to create a news outlet that’s not partisan-driven. With Circa, it hopes that its blend of original reporting and user-generated content will engage young readers across the political spectrum. In addition, Circa may come to set-top boxes and streaming services like those offered by Roku and Xbox. Regarding news about @Circa: Sinclair purchased our assets. I am not involved w/ the new project known as Circa. It is not a "relaunch". Galligan also said that the original team will not be a part of the revamped service. It’ll be interesting to see if SBG’s approach can help bring Circa back to life. The company said it will give Circa an operating budget of $10 million for its first year (which wouldn’t be enough to pay 70 journalists’ salaries) but hasn’t announced a launch date.